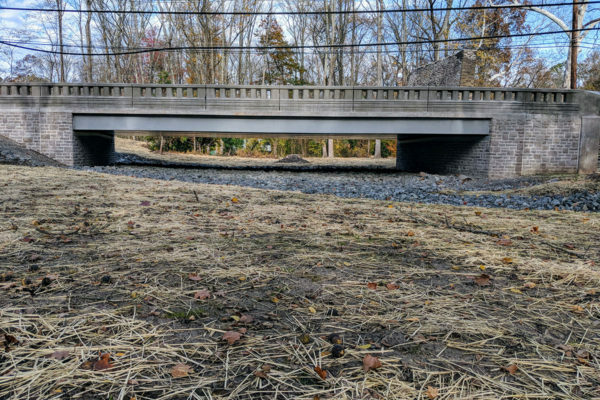 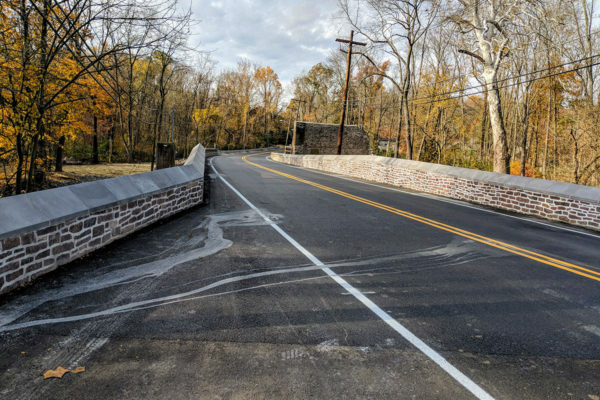 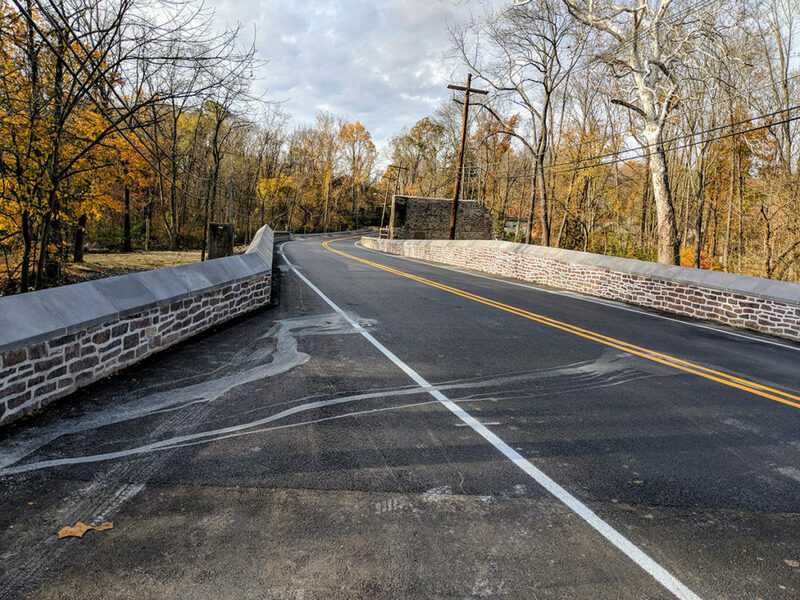 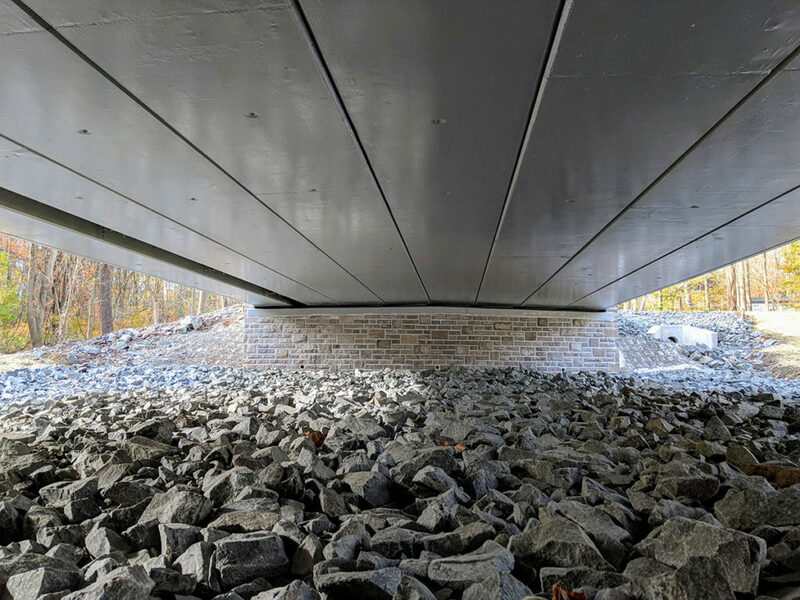 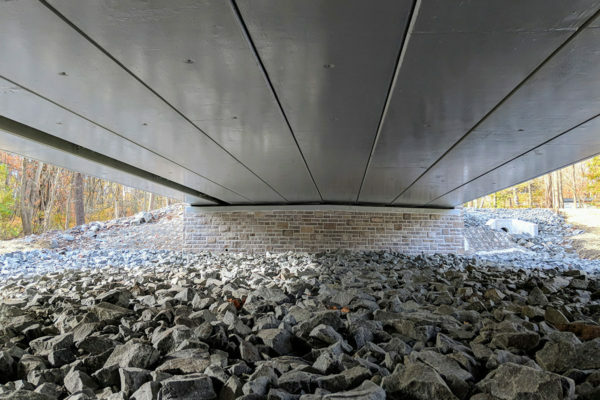 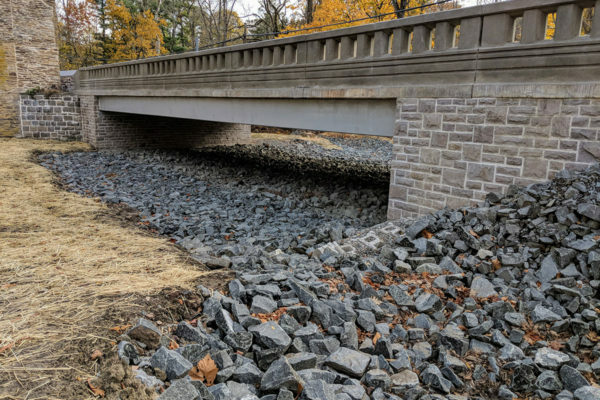 The project was required to be completed in 120 days with limited access and a significant amount of mason hand work required subsequent to completion of bridge demolition and construction. 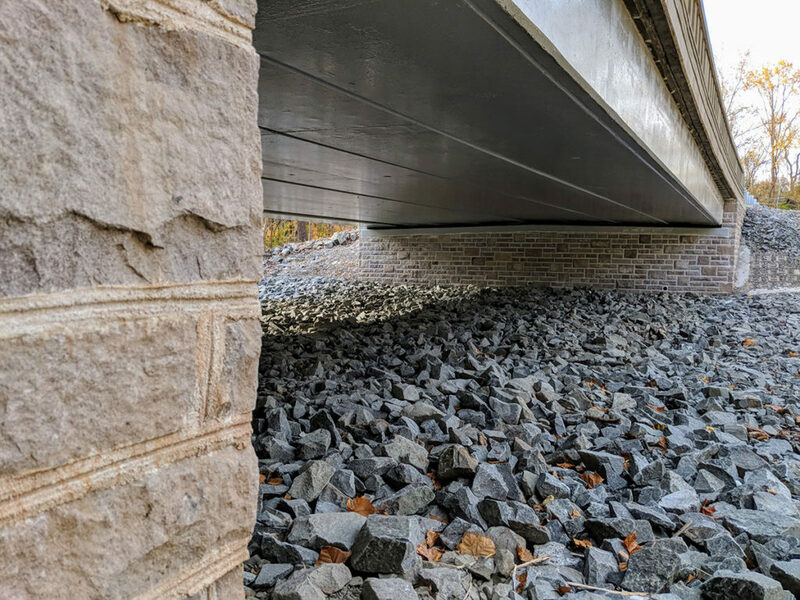 Existing masonry stones had to be dismantled, processed and reused. 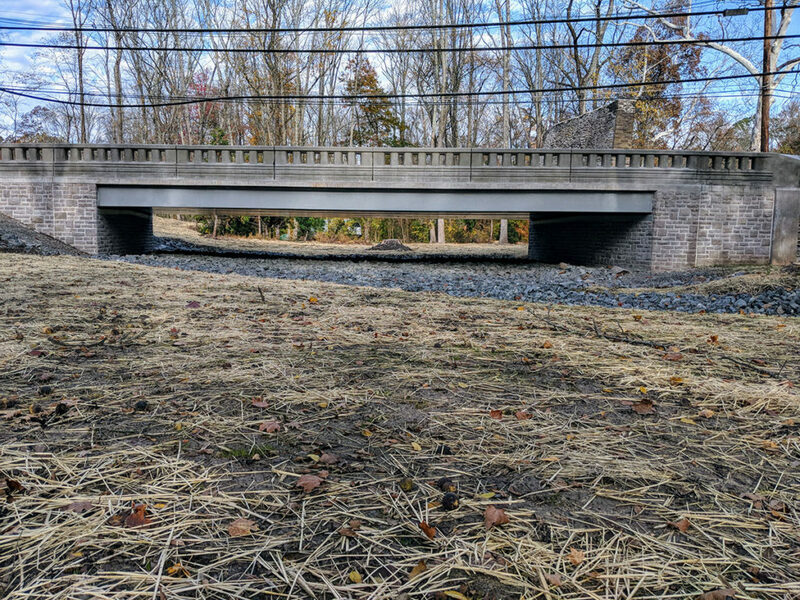 Dewatering of the brook and supporting the Arch Structure with steel trusses in order to excavate and pour lightweight concrete above. 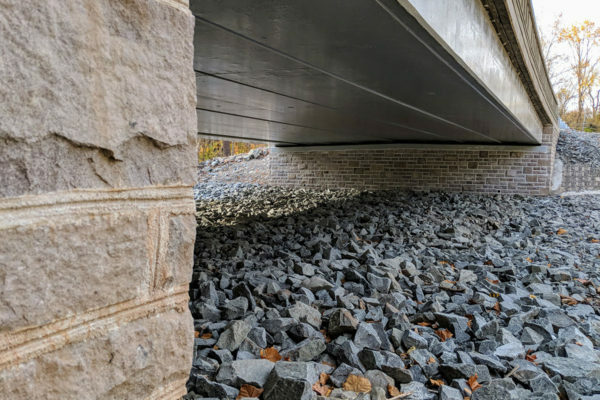 Accelerated Flood Channel Bridge demolition and construction in order to provide access for Arch Structure Construction. 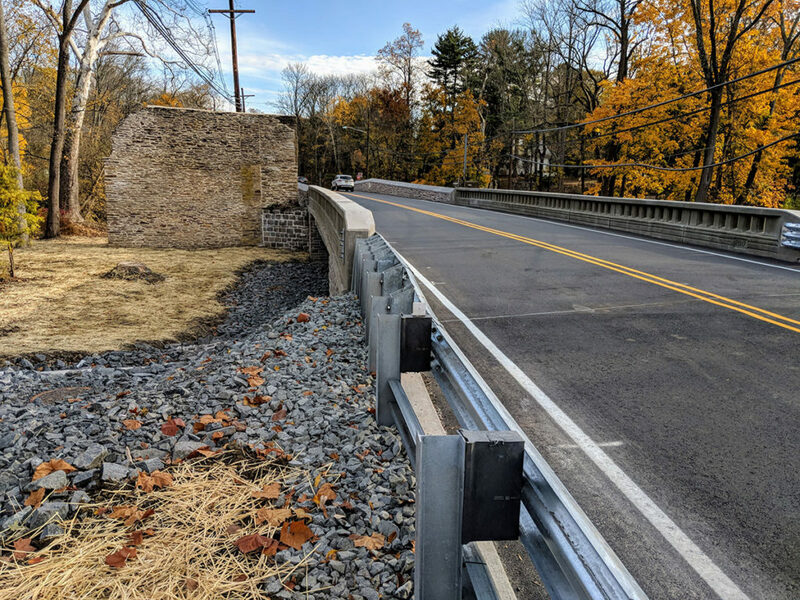 South State, Inc. was contracted by the NJDOT to perform roadway and bridge improvements in order to provide a safer system for the traveling public along Rte. 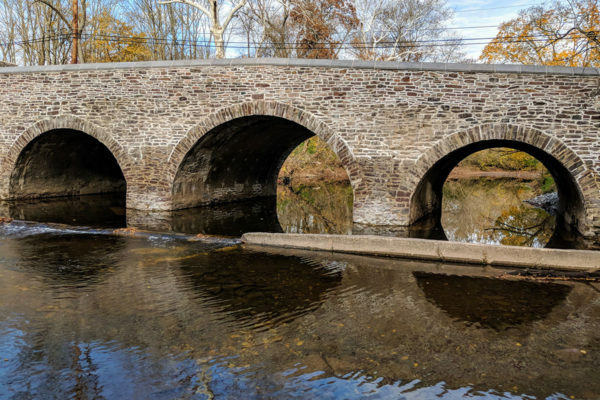 206 in Princeton. 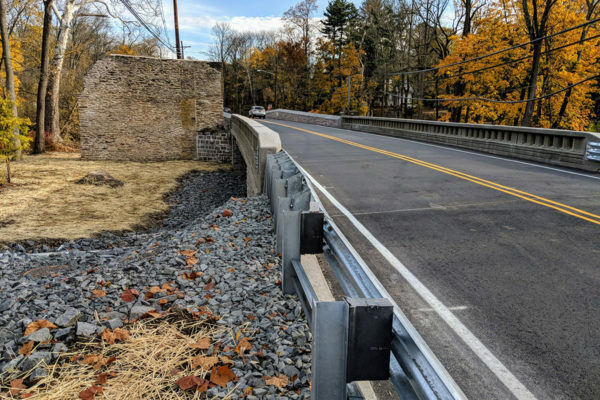 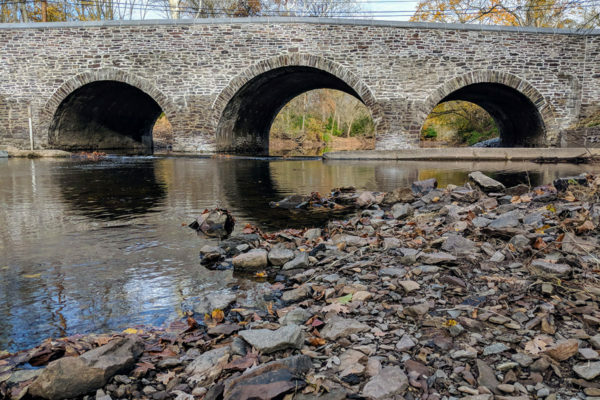 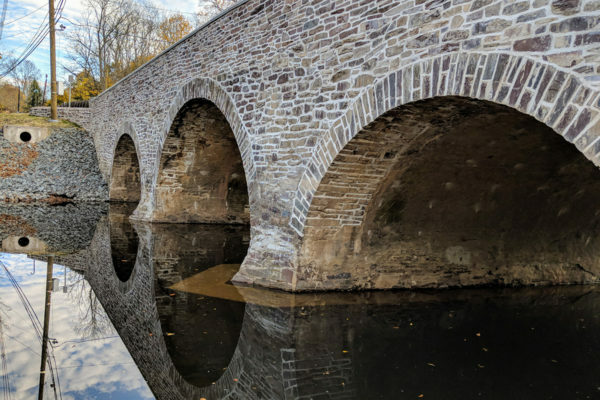 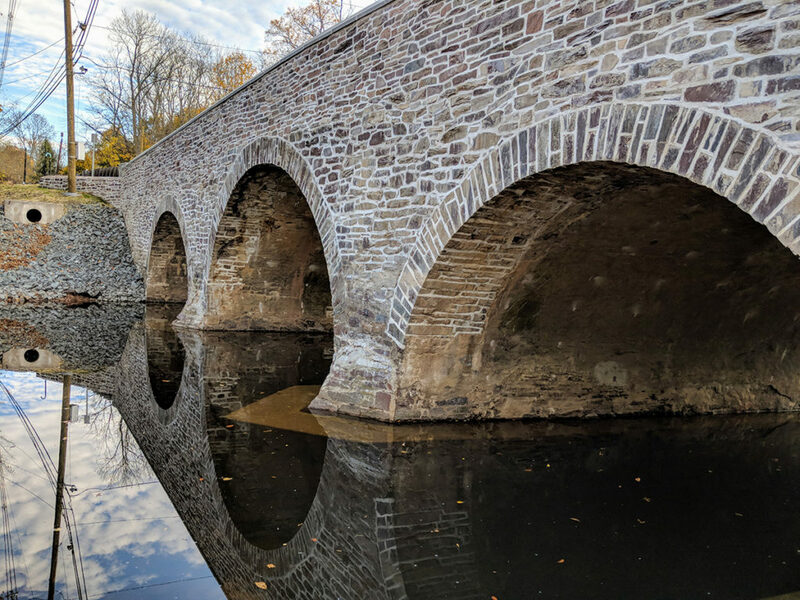 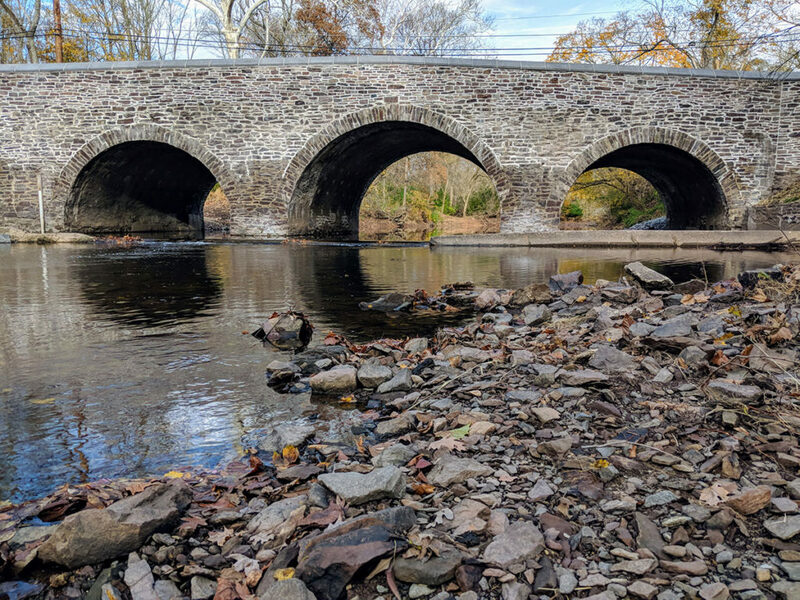 The scope included restoration of the oldest bridge in continuous use in New Jersey, along with construction of its supporting overflow bridge. 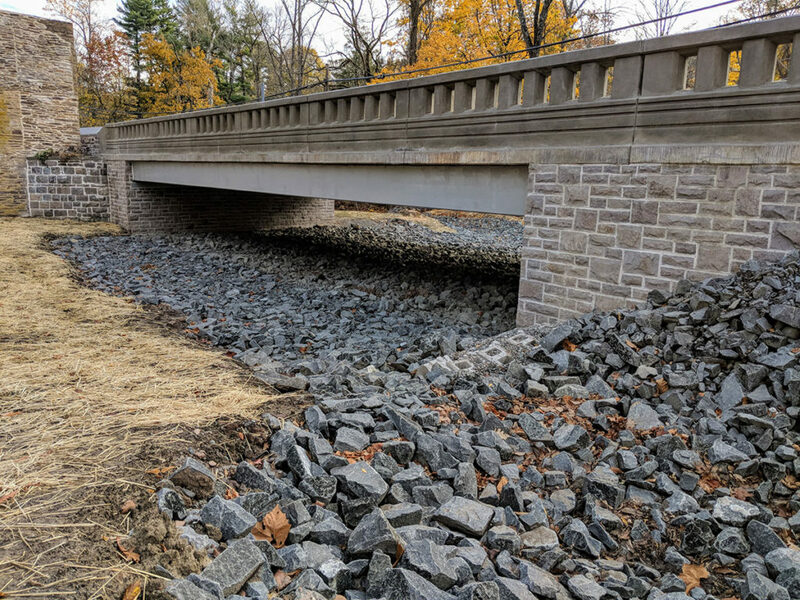 Construction activities that facilitated improvements included but were not limited to masonry restoration, large excavation, substructure and superstructure concrete, erection of concrete box beams, relief/sleeper slabs, dewatering, arch structure support and restoration, lightweight concrete, drainage improvements, gas main installation and construction of the roadway.